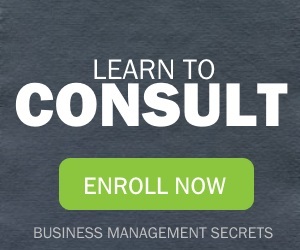 When you become a consultant, you’ll need to set consulting fees. Consulting pay and fees can be worked out in several ways. Here’s some information to help you figure out what clients should pay a consultant (some clients are still prone to consultant fee sticker shock, though). With this in mind, you can determine typical consultant rates — what companies pay consultants for their hours, days, projects and expert opinions. Note that your personal experiences and background may influence how you go about setting your rate. 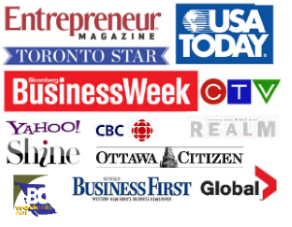 By the way, I’m happy to send this article to you by email, along with a free six-part mini course – click here. (Want even more info? Get 200+ pages on setting consulting fees in my Consulting Fees: A Guide for Independent Consultants). Let’s say you make $60k a year plus benefits and you get four weeks of paid leave . I recommend rounding up to the nearest $5 or $10 multiple, because a $78/hr or $117 fee looks odd. And while that may work for certain big box discount stores, it’s probably not the approach that will work for independent consulting. Of course, this assumes you use an hourly rate for your consulting services. Many people work out an hourly rate, but actually charge by the half-day, day, project or another arrangement. To set a daily rate, simply multiply the hours you work in a day by the hourly rate from the above example. Some consultants set their rates by the project. They estimate the number of hours they expect to spend on a project, then multiply by their hourly rate. However, some consultants set their project fees using the value the client derives from the consultant’s advice. There’s an old joke about physicist Niels Bohr that illustrate this principle. A company’s machine breaks down. The company’s owner, an old school chum of Niels Bohr, calls in the physicist for help in fixing it. A few days later, the owner receives an invoice from Bohr for $10,000. Shocked, the owner phones Bohr! Bohr agrees to send the invoice. A few days later, the company’s owner opens a new invoice. Knowing the value of your work can go a long way in helping you establish your fees. Some clients offer consultants a share of future revenue, profits or commissions, pushing the consultant to a pay for performance model. Others offer the client a commission. Still others offer pay based on the results of the consultant’s work. Consulting fees based on performance pose several risks. For example, the company’s performance in other areas may affect the area in which you you are measured. It may take months or more to see the results of the work, meaning that the consultant will not see any revenue for a long period, effectively giving the company an interest-free loan. The company may not cooperate with you in implementing your full recommendations, compromising your ability to reach the potential you projected. Moreover, you may have a hard time checking to see whether the client has manipulated results. Can you be sure that your results are being reported accurately? Most importantly, you shift the focus from high quality planning to short-term gains. If you essentially become a partner by sharing in the client’s risk, you lose your objectivity. At the very least, seek a base rate plus performance pay or share of ownership. Sticking to contingency and performance-based fees opens a can of worms. In this calculation, you base your charges on working days per year. Allow six weeks for vacation, stat holidays and sick time. Notice that this is a bit more precise than the estimate of hours we used earlier. As noted above, you have 1840 working hours available each year. However, what percent of your time will be spent on work that brings in money, as opposed to work that helps you find clients but for which you aren’t actually paid? Notice that you might be working 40 hour weeks, but you’re not necessarily available for all that time. In the example above, it’s 920 hours. Despite your best intentions, not all your clients will pay you. Some will take weeks or months to pay, but a small percentage will never pay the bill. So consider this in setting your fees. Because I use contracts and am diligent about following up, my collection rate is almost 100%. However, the economy and how you set up your business may mean a less than perfect collection rate and it’s better to plan accordingly. How much would you earn if you were paid a salary at a company? office furniture — desk, armoire, chair, shelves, bookcase, filing cabinet, lighting, etc. As a consultant, you’re taking a risk and running a business. So it’s reasonable to expect a profit margin on your fees. Consultants usually mark up their fees by 10% to 33%. Since consultants tend to round to the nearest $5, our example results in $115 per hour rate. This last tip may seem silly, but sometimes it really does make sense to charge what everyone else charges for consulting. It comes down to what the market will bear and what your competitors are doing. If you fall in line by charging the same as everyone else, you’re signalling that you’re a worthy (qualified) consultant who plays fairly. You’re also making sure you get the base line rate for consulting in your market. In the long term, it’s better to move to a model that represents the value you offer and that allows you to move beyond the limits of charging by the hour. My Consulting Fees guide goes into detail about the steps to moving to Solution-based Fees. No matter what way you set your consulting fees, be sure to use a consulting contract and agreement for consulting services. Coming up with your consulting fee for the first time may seem daunting. However, once you’ve found a strategy in which you really believe, you’ll be good to go. You may want to revisit your decision from time to time, taking into account your experience, client feedback and even your competitors’ activities. You’ll also want to make sure you keep on top of managing scope creep. Like this article? 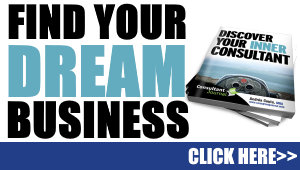 Get practical tips and 200+ pages on making money as a consultant! Check out my Consulting Fees: A Guide for Independent Consultants – ebook and print versions available. Billing travel time rates for consulting projects. Looking for consulting salary information? More info here. 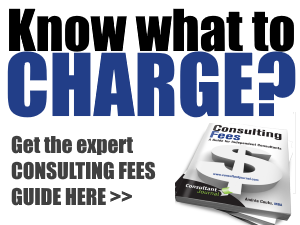 “Setting consulting fee rates” from Become a Consultant Blog at ConsultantJournal.com. (c) Copyright by Andrea Coutu and Consultant Journal. All rights reserved. Reproduction or translation of this article or articles on this site in any form, without express written permission of the copyright owner, is prohibited.